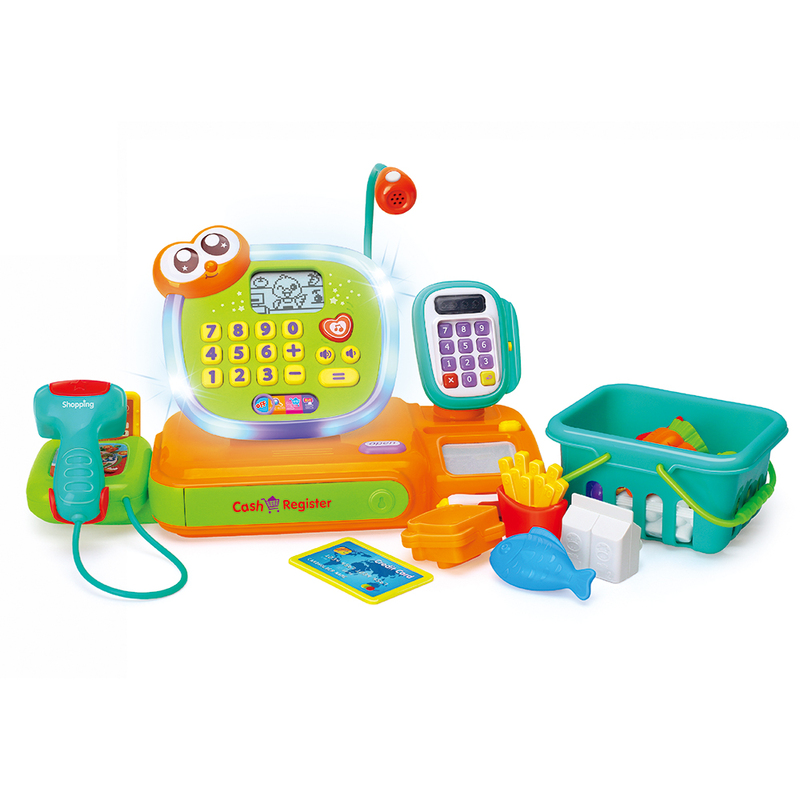 The Hola Electronic Cash Register is great quality and filled with everything your child will need when role-playing as a checkout assistant. 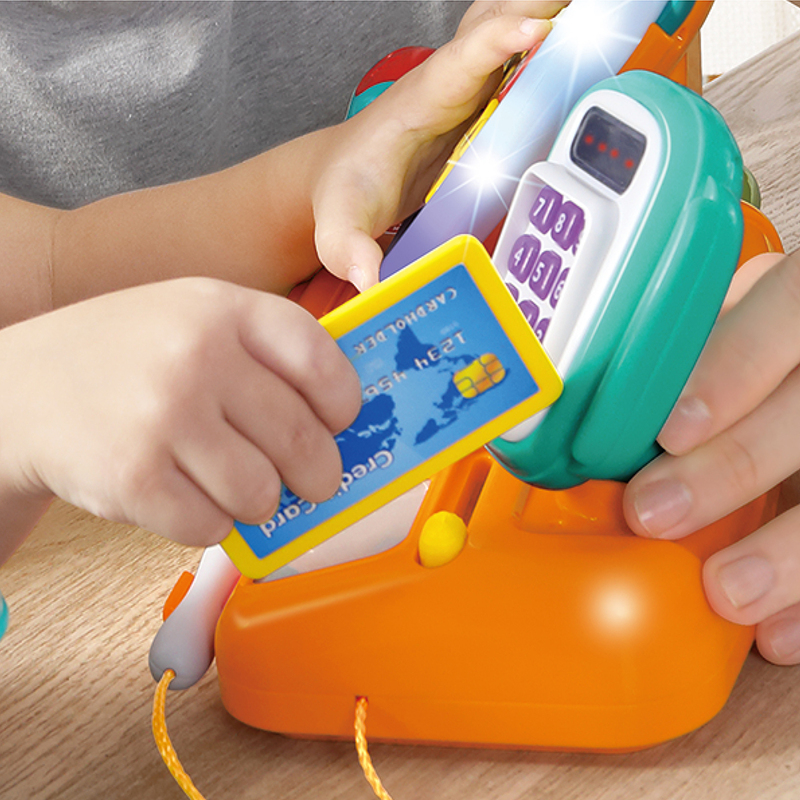 They will have hours of fun as they buy, sell and add up their purchases and sales. It is both educational and fun! This deluxe cash register comes wonderful accessories that include play money and credit cards, a shopping basket, groceries and much more. There are is a different mode for shopping, learning and games! 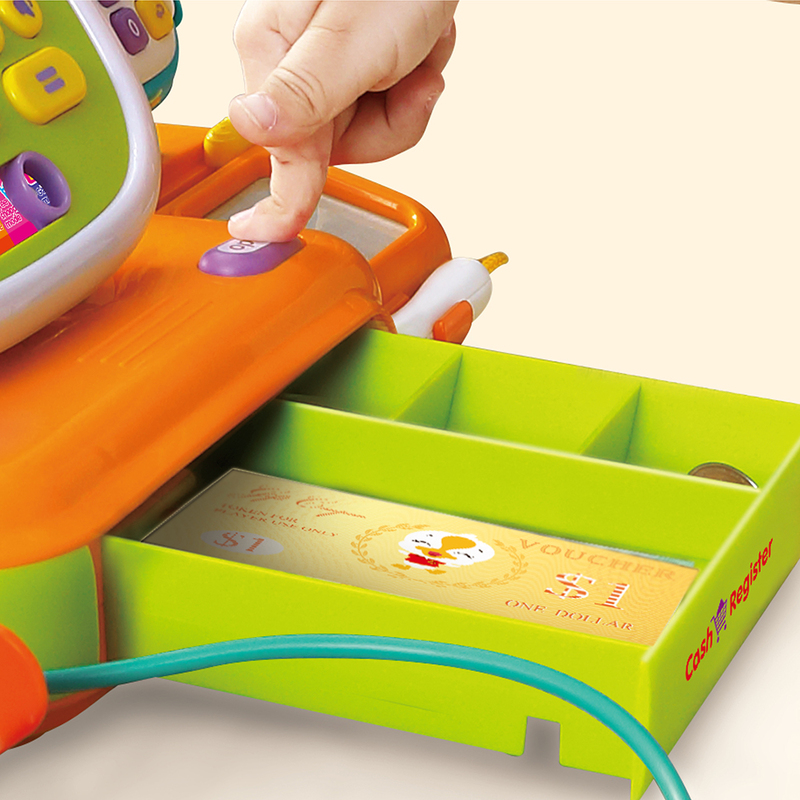 Plus, the cash register features an electronic scanner and functional calculator too. 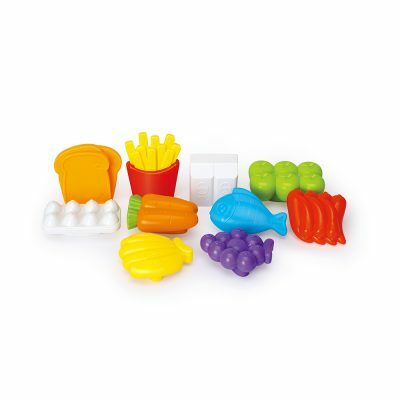 Your kids will have fun learning the basic concepts of money, shapes, colours and different groceries. They will have hours of fun as they buy, sell and add up their purchases and sales. It is both educational and fun! This deluxe cash register comes wonderful accessories that include play money and credit cards, a shopping basket, groceries and much more. Press the number button to learn about numbers, quantities and more. Scan a product or press the number button to hear the corresponding number. 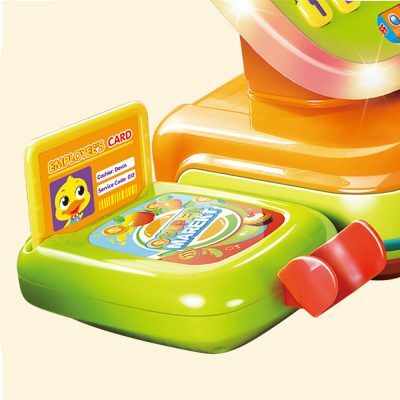 In this mode, you can buy and scan any product. Helps to train cognitive and decision-making skills. In this mode, the cash register tells you which products to buy. The game gradually gets more difficult as you scan each product. 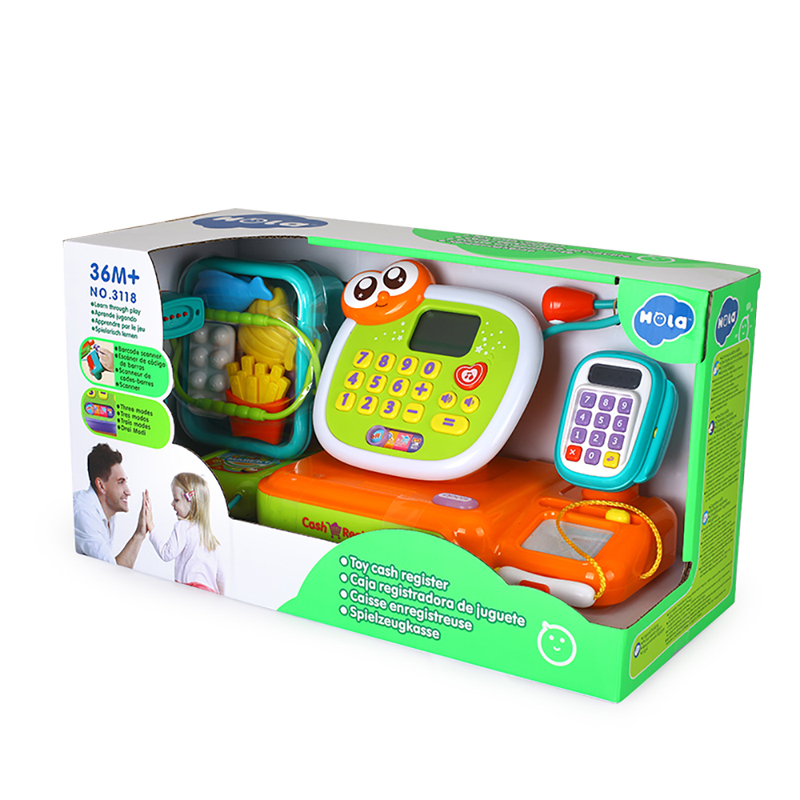 Toy calculator – With numbers, ‘+’, ‘-‘ and ‘=’ buttons – helps to improve your child’s awareness of numbers and basic calculations. Barcode scanner – Scan the toy products and teach your child about different objects. 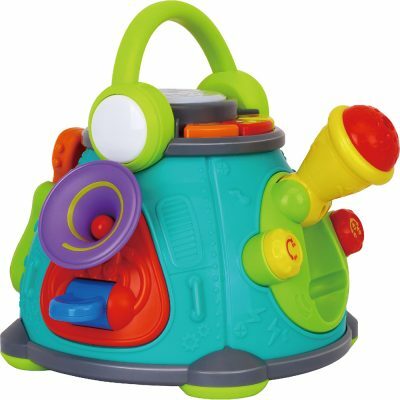 Multi-coloured light – Light effects keep your little one entertained and stimulate their interest. LED display – Displays a range of animations. 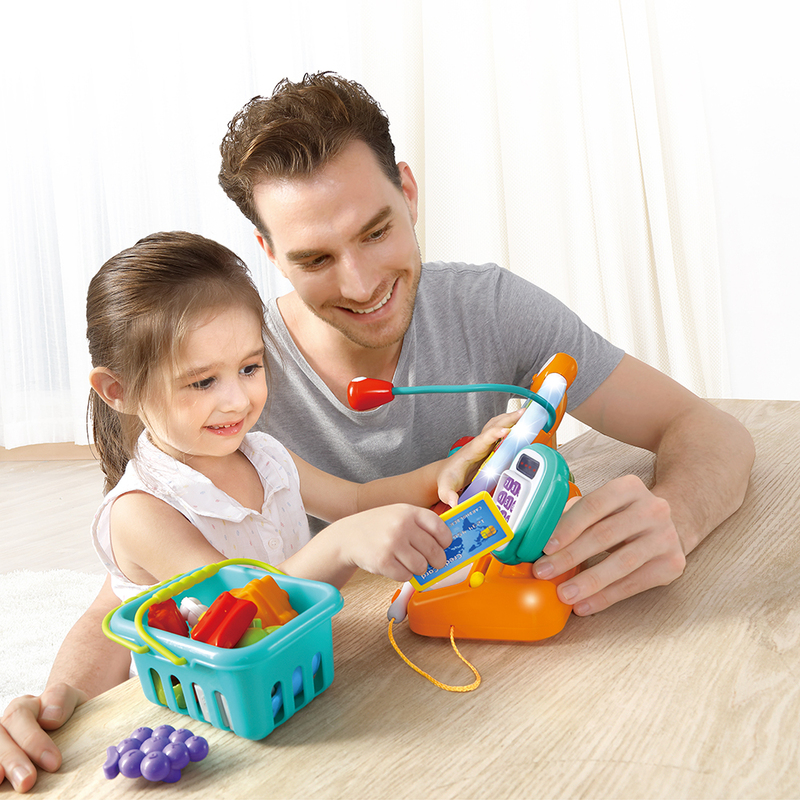 Microphone – Watch your child speak into the microphone and practice their speaking skills! Music button – Press the button to play a song and sing along to the music! Toy products – The cash register comes with a number of toy groceries (including fruit and vegetables) to improve your child’s awareness of colour and quantities.